Remember last year when Penguin Random House published a textspeak version of Shakespeare? 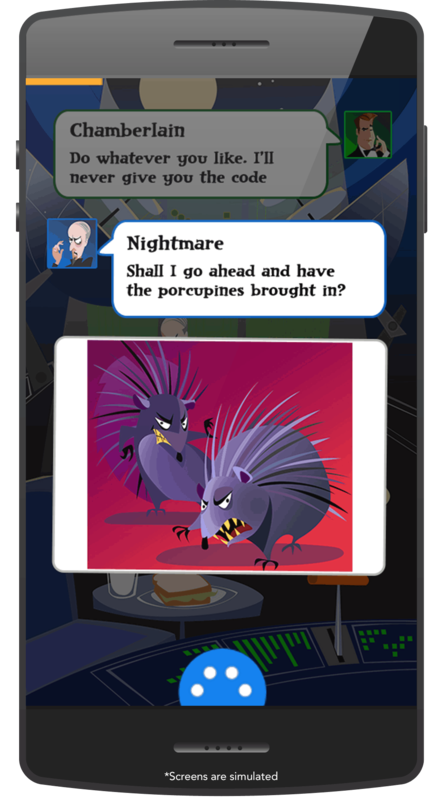 And do you remember Hooked, an app which offers text message based stories? If you liked those then you're going to love what Amazon announced this morning. On Wednesday the retailer announced a new subscription reading service for kids called Amazon Rapids. This $3 a month service offers access to a collection of stories written in chat style of writing. The stories come with illustrations, and if readers have trouble understanding a word they can click on it and look it up. Humor is really important for getting kids interested in reading according to Agarwal. “All the way to age twelve it’s the top thing they are looking for,” he said. Rapids has hundreds of these short stories in its database so far and Agarwal tells TechCrunch Amazon is adding “dozens more” each month. The idea is to make them fun and short enough to keep the kids engaged till the end. I generally loathe chat as a writing style, but I am going to make an exception for Amazon Rapids. The combination of the short chunks of text plus images makes this service a modern iteration of picture books, the books given to beginning readers. Amazon Rapids isn't dumbing down books; it is providing a simpler form for less able readers. And that's a good thing. The simple fact is, many readers are pushed to switch from picture books to chapter books before they are ready. Chapter books have paragraphs of text which are harder to read than picture books, and readers who are forced to switch too early may be frustrated by the more difficult text. Now Amazon has provided an intermediate type of book which both stretches a reader's abilities without overwhelming them.